We think of bees and flowers as inextricably linked, and the flowers we typically picture as the most “bee-friendly” are garden stalwarts such as sunflowers andlavender. However, ask a bee’s opinion and they will most likely name a tree – cherry plum, alder, hazel – as the best value for pollen and nectar gathering. It is no coincidence that in nature wild bees’ nests are found in hollowed-out trees in woodland, right next to the best source of forage. Trees offer thousands of flowers in one place, making gathering nectar and pollen more efficient for the bee colony. They also provide safe nesting sites in the form of hollow cavities, and sometimes resin which bees use to make propolis (an antimicrobial glue for sealing gaps and lining the cavity). In return, the bees pollinate the tree flowers. Although many trees flower in spring it is easy, with half a dozen carefully chosen trees in the garden, to provide pollen and nectar for bees all year round, with no herbaceous border in sight. Alder,willow and hazel provide early pollen when food is scarce. Apple, quince (cydonia), almond, plum and single-flowered cherry provide later sustenance. Even the ivy that clambers up the trees provides essential autumn bee food. For a good month-by-month guide to trees in flower, visit urbanbees.co.uk. The human relationship with bees goes back over thousands of years; the earliest European beekeepers learned their craft working with wild bees found in woodlands. “Historical evidence includes a Russian tomb from the fifth century that was found to contain a complete set of tree beekeeping tools,” says Jonathan Powell of theNatural Beekeeping Trust and a founder member of Tree Beekeeping International. Beekeeping as we know it today, with swarms kept in hives and managed by beekeepers, has moved out of the trees, but this is a relatively modern development. Traditionally in eastern Europe, bees were kept in “tree hives” that were closer to their natural way of life. “This is a completely different approach to beekeeping, where the beekeeper makes a hive that suits the bees or they do not come,” says Powell. 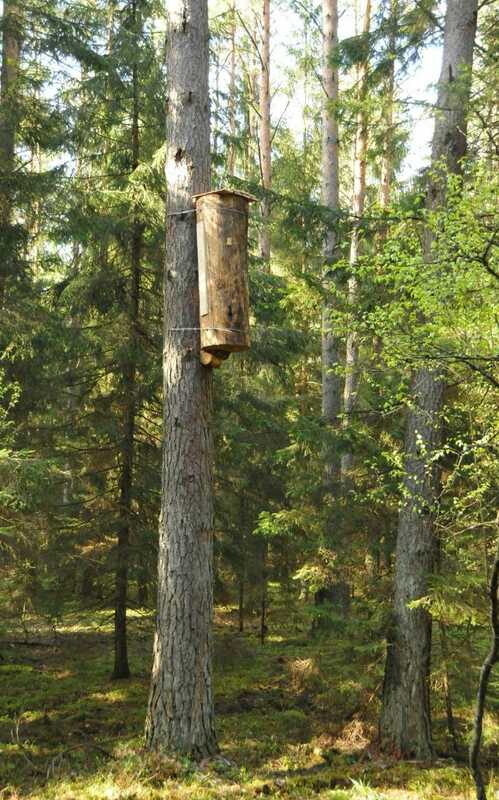 The tradition was all but lost by the Thirties, but was recently rediscovered in the southern Urals in Russia, where more than 700 tree hives are still managed. “A high tree cavity in the forest is the perfect insulated haven for a bee colony,” says Powell. With hollow trees now hard to find, natural beekeepers are looking for new ways to put honeybees back into the trees where they belong. This involves creating new types of beehives that can be used in trees, and reviving the ancient eastern European craft of tree beekeeping. John Haverson is a swarm man; over 10 years he has collected swarms in the Andover district of Hampshire. Now part of a swarm liaison team, he helps to find homes for dozens of swarms each year. Recently he has been installing hollow logs high in trees to create natural cavities for bees. “We can’t find enough hollow trees anymore, so this is the alternative,” he says. 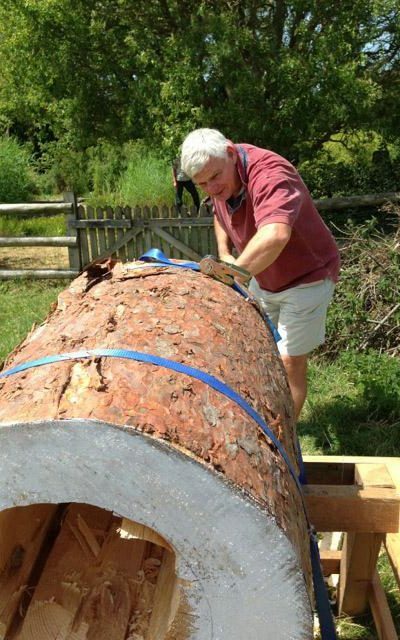 “The idea is to put hollow logs out in the forest and see what happens. There will be a roof and an inspection hatch if we want to look at them, but it’s a conservation project rather than a honey-farming project. With a small team, he monitors dozens of sites with established wild bee colonies. These often survive the winter and reproduce, with no management or intervention. Large logs or trunk hives can also be placed on ground-mounted stands. Matt Somerville runs a small artisan business, Bee Kind Hives. A skilled carpenter and former boat-builder, he has been inspired by natural beekeeping and – helped by John Haverson – has developed tree log hives and stand log hives for bees. The limited-edition and bespoke Freedom Hive is 12-sided, with an internal cylinder separated with packed insulating straw. Weighing only 17kg, it is much easier to put into trees or on to a stand. A beekeeper since childhood, Jonathan Powell has turned his attention to removing barriers that prevent bees from living naturally. “Modern beekeeping has woven a tangled and confused evolutionary path that has no direction for bees and is alien to their genetic code. “If we are going to get the vitality back in the bees, we really need to let the bees be bees. The only way to do that is to create places where the bees can live undisturbed and can forage for healthy, wild food, free of pesticides and other toxins. Tree beekeeping is a means of putting bees back into the environment and allows them to live unmanaged.” Tree Beekeeping International plans to create hives in national parks across Europe. 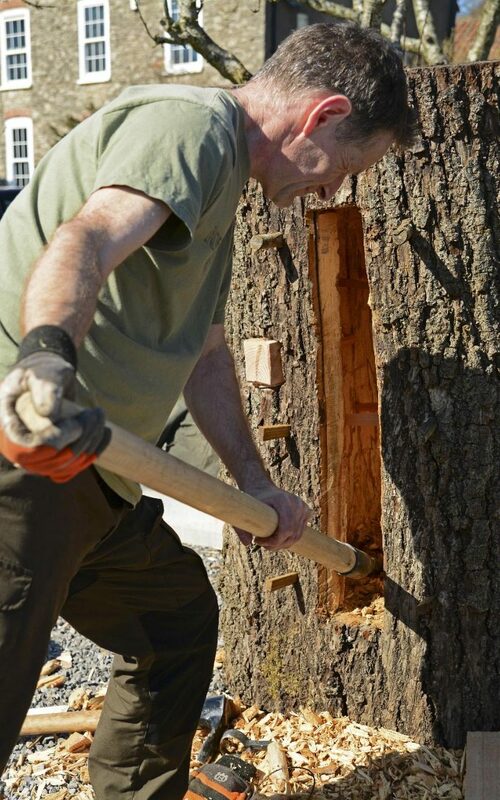 Powell has been helping to revive the ancient and almost lost skills of tree beekeepers from eastern Europe who carve cavities into living trees and manage the naturally colonised tree hives for generations. Carving cavities into living trees is a fine art and – 4m high atop a platform – it can be precarious. 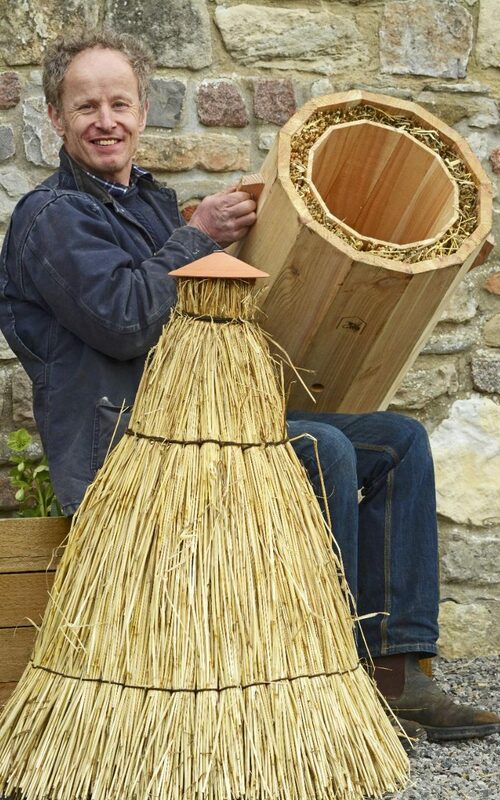 The first British living tree hive will be created in an ash tree in Wiltshire in May. The site at Pertwood Farm, chosen for its organic status and the wildflower meadows that envelop it, will allow the bees to live undisturbed as near to their natural state as possible.